Rather than give you all this information at once we're spreading it out over the course of the next three weeks so that you have adequate time to look it all over. Here's your first kit component. 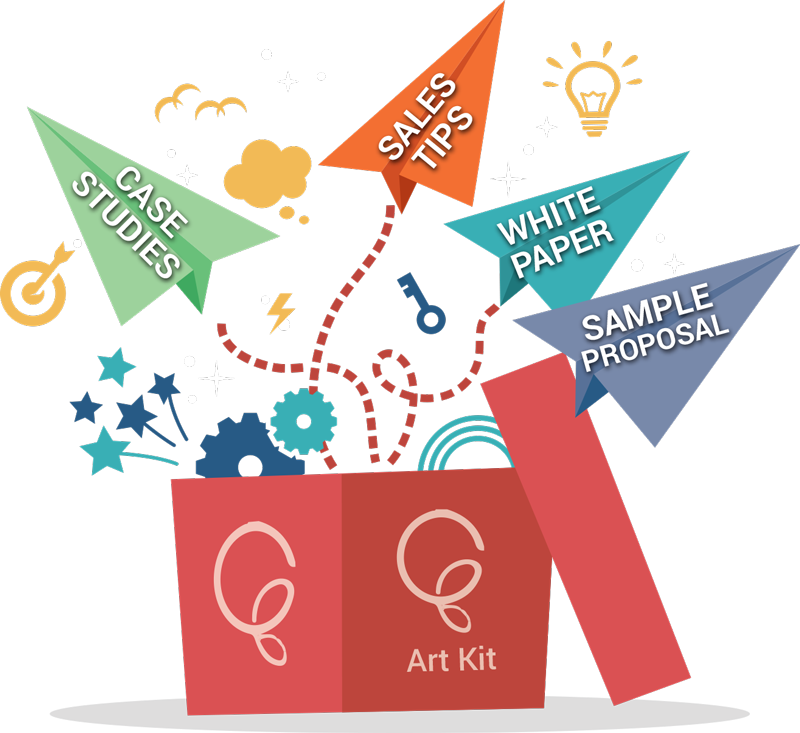 What's Inside Your Free Art Kit? Research on evidence-based design for art strongly supports that the right type of art can aid in the healing process. Healthcare art should console a patient, not challenge or confuse them. When artwork elicits a response, starts a conversation, makes a connection or evokes a memory, it serves as a positive distraction. This allows a patient’s attention to escape from the emotional or physical stress of the moment. It's therapeutic and can assist in the healing process. There are certain types of art that work best in a healthcare setting. A Guide for Healthcare Art and Healthcare Art Selection Tips define those types and show you how to practically apply them. Art and branding art set the tone in your corporate facility. They are the most immediate visual cue as to who you are and what you do. Your walls are valuable real estate. You want to make them WORK for you. Your walls need to engage - engage your staff, your visitors, and your clients. Can art in the workplace really make us more productive, more innovative or improve our job satisfaction? The Influence of Art in the Workplace tackles the complex relationship of the employee to the design of their work environment, including art. Looking for creative new applications for art? Check out the collection of Case Studies. Our Sample Art Proposal puts it all together with all the details that go into a comprehensive art program, including the art floor plan, a description of the art selection process and a sample portfolio of a client’s complete art package. Still more questions? We’ve compiled a list of answers to our most Frequently Asked Questions.